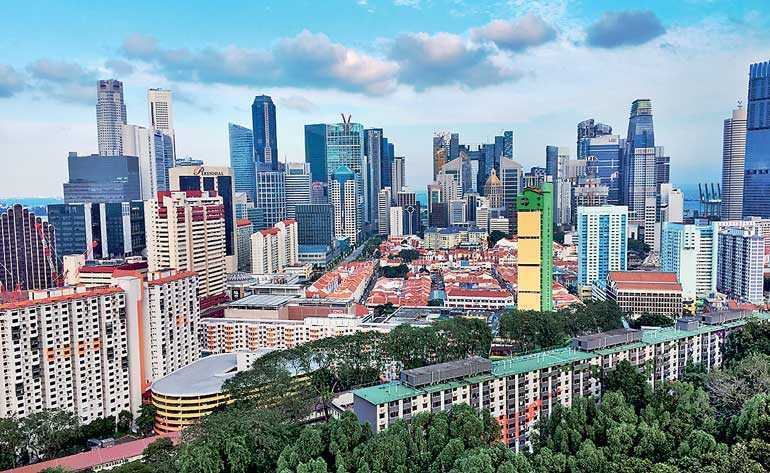 Singapore (Reuters): Singapore’s surprise move to intensify property curbs marks the strongest cooling measures in the island nation in five years, putting a damper on a nascent resurgence in the housing market and posing risks to developers’ margins. After nearly four years of price declines, home prices in Singapore rose by 9.1% over the past year, while developers have been paying record amounts to buy land. The Government slapped an additional 5% stamp duty on property purchases for individual home buyers and tightened housing loans limits. Only first-time buyers who are Singaporeans or permanent residents were exempt from the increase. Properties bought by entities will have to pay an additional 10%. The Government also introduced an extra 5% acquisition tax on developers buying land to build residential properties. The shock move hit stocks of property developers on Friday and the overall market closed 2% down at a 14-month low. City Developments plunged 15.6%, while Oxley Holdings slumped 15.85%. Last-minute buyers rushed on Thursday to sign contracts for flats before the new rules kicked in at midnight. The sales launch for some projects such as Oxley Holdings’ joint venture Riverfront Residences project was brought forward by two days, following the Government’s announcement. Local newspapers ran photos of long queues of potential home buyers lining up at showrooms of newly built condominiums to avoid the hikes in taxes. Oxley and City Developments are among real estate firms that have spent billions of dollars building up landbanks over the last two years through Government sales or in so-called “en bloc” or collective redevelopment sales, a feature of Singapore’s property market. DBS Equity Research analysts said demand for en bloc sites could “grind to a halt” due to the fresh cooling measures.